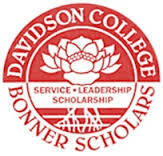 Being a Bonner Scholar is a four year commitment to serving the community through service and advocacy. In addition to my 140 hours of service a semester, I meet with other Bonner Scholars every week to discuss the social issues that directly impact our local community. As the Civic Engagement Specialist, I became the lead of all advocacy initiatives in the organization. I proposed and managed the International Service Trip that will allow the high school mentees to study women’s empowerment from an international perspective. I piloted and developed our first Community Navigation Service, which was a service that connected clients with resources in the area. I primarily worked at Allenbrook Elementary School as the Family Engagement Specialist to discover ways to increase parental involvement. In addition, I lived and worked with 9 other Davidson Education Scholars to collaborate and discuss the potential of the education system from a local and national perspective. Check out our blog!